Being over 1150 years old, Veliky Novgorod is one of the most ancient cities on the territory of the Russian Federation. It was first mentioned in the chronicles in 859 and this date is accepted as a starting point of the city's age. As a town Veliky Novgorod was formed in the 10th century. It has grown upon the famous trading route ”from the Varangians to the Greeks“ and quickly became a large centre of trades and crafts. Centuries before St. Petersburg, it was Russia's gateway to the West. Novgorod supplied Europe with furs and candle wax, becoming one of the most prosperous cities on the continent. Historians call Novgorod the cradle of Russian democracy for the way it was ruled. At the sound of a bell, the city population assembled on the main square. There, they voted on the most important issues, elected the rulers of the Republic. Each part of the city had its own self-government. Today no other Russian city can compete with Novgorod in the variety and age of its medieval monuments. 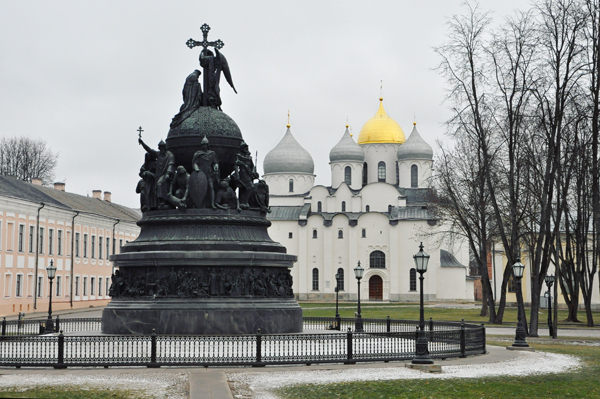 In 1992 the historical centre of Novgorod the Great was included in the UNESCO World Heritage List. A walk around the massive centuries-old Kremlin walls and countless churches will certainly become a unique experience of plunging into the atmosphere of the glorious past and invincible might of His Majesty Lord Novgorod the Great.